Our bodies were put together on the assumption that they will be moved regularly. Thus, if this motion simply does not happen, our bodies will begin to weaken, malfunction and will eventually break. 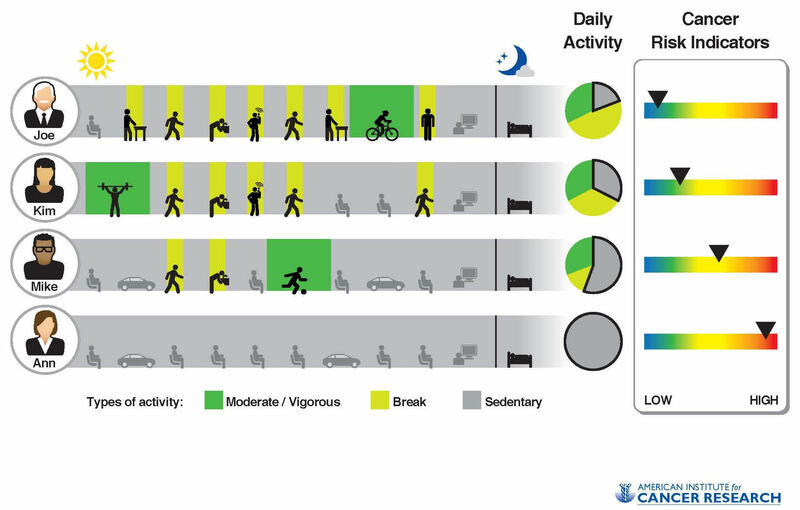 Many studies have confirmed this by establishing strong links between sedentary living and and degenerative disease. Now if you combine that with our terribly unhealthy eating habits, you have a true killer combination. So why exactly is movement so vitally important? Well, firstly, it is an essential part of the detoxification process. The body’s sewage system; the lymphatic system, depends on muscle contraction to transport the lymph fluid around. If there is no motion, there is no lymph flow and wastes are not effectively removed from the cells. It is like the garbage removal guys are on strike and the wastes are just piling up in the streets. By not moving, you are essentially dooming your cells to live in such a terribly polluted neighborhood and it should come as no surprise when they get sick. Secondly, sedentary living greatly reduces your metabolism which makes you very susceptible to obesity and all the ills associated with it. If you combine that with our society’s totally contradictory over-supply of highly processed empty-calorie foods and obsession with thinness, you arrive at a situation where people regularly malnourish their bodies through crash diets which which have absolutely zero chance of long term success simply because their metabolisms have virtually ground to a halt. Finally, we have the principle of “use it or lose it”. If the body does not move, it gradually becomes weaker to the point where even light physical activity becomes very strenuous and even dangerous. Inactivity shrinks your muscles and makes them less effective, reduces the number of oxygen carrying red blood cells in your blood stream and even causes loss of bone mass. This phenomenon drives the evil vicious cycle of sedentary living: the longer you are sedentary, the more difficult it becomes to start moving again and the less likely you are to ever give your body the motion it so desperately needs.